Journaling "Sweet,sweet Lila,our little granddaughter,is truly a sweetheart! Photos taken by Sabrina in a Valentine photo shoot! 2/14/14" Our daughter lives in Mexico so we love any photos she takes! Lila is a smiler! Tickets from an older Reminisce sticker sheet. What a precious LO, Jen! 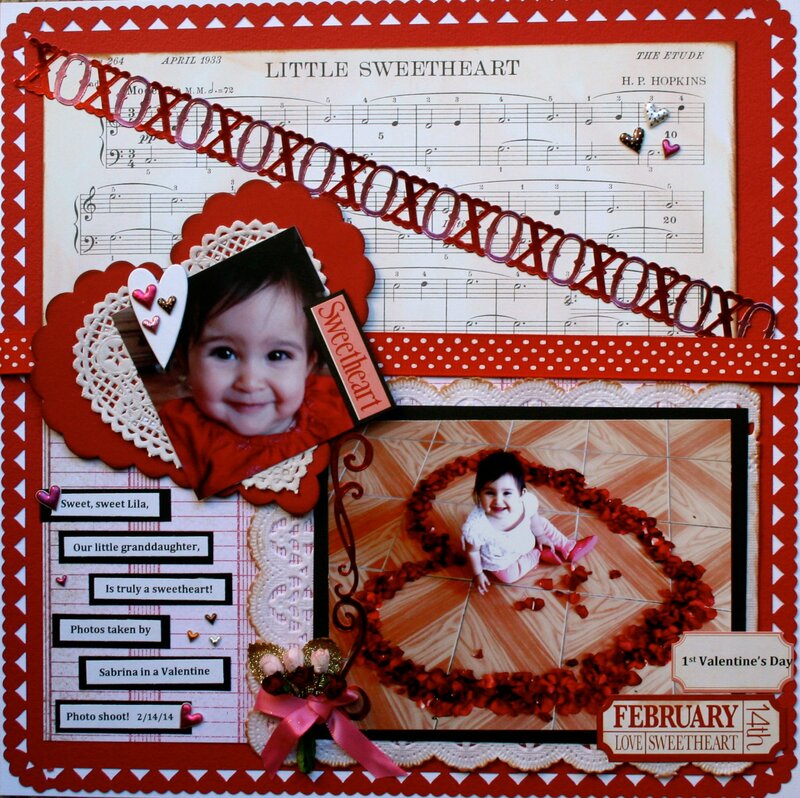 beautiful photos,adorable little girl, love the pprs, design, punchwork, embellies, colors!! Cute pic, design and journaling tags. Adorable child and great layout! Beautiful design, she is so Precious, great colors my friend!